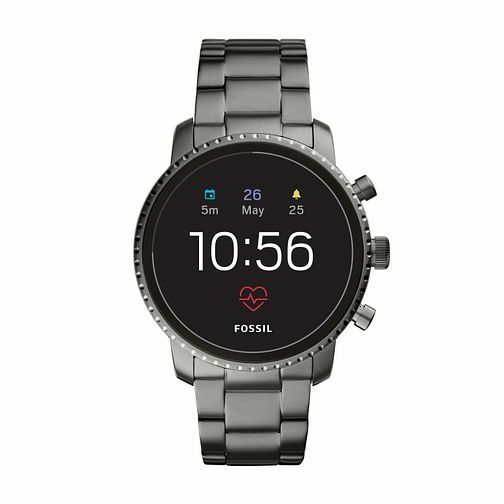 For the stylish man with an adventurous spirit, the Fossil Gen 3 smartwatch is the wrist companion for you. The Q Explorist smartwatch keeps you connected whether you go. Check the time, date, heart rate and alarm at a quick glance, illuminated on a classic black dial. Personalise your dial, control your music and receive text, email and even social network notifications from your smartphone with this Gen 4 smartwatch.With built-in GPS and NFC features, this Gen 4 model has got you covered on the go! Smartwatches built with Wear OS by Google™ are compatible with iPhone® and Android™ phones.